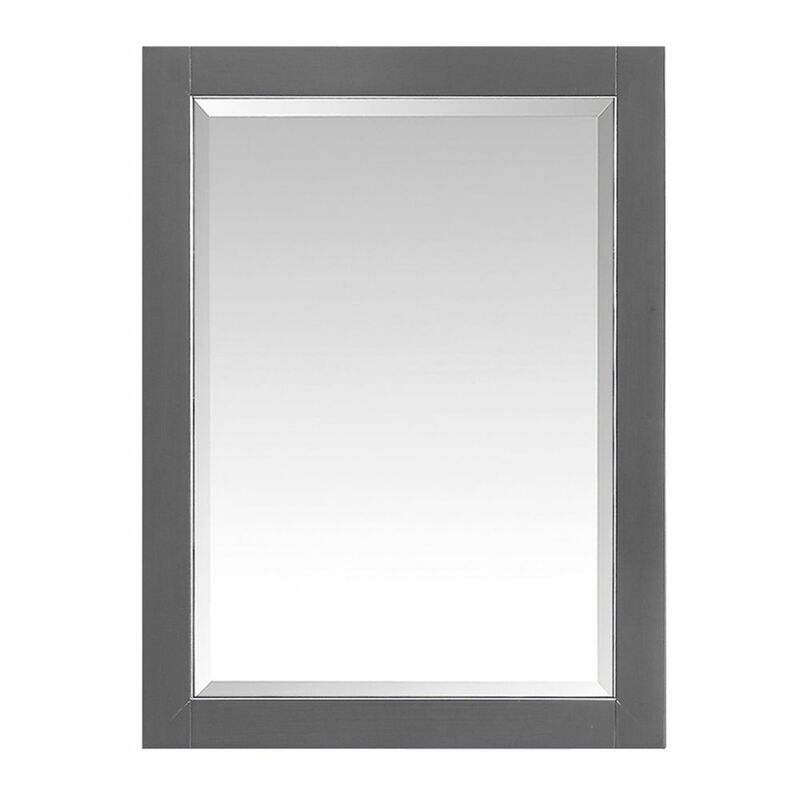 This 22 inch mirror cabinet features a minimalist design that pops with colour thanks to the refined Twilight Gray finish with matte silver trim. It features a solid wood birch frame and wall cleat for easy hanging. The mirror cabinet is a perfect companion to the Allie / Austen vanities. If a products fails due to defects in materials or manufacturing during the one-year warranty period, Avanity will either authorize a full product replacement, a parts replacement, repair, or alternative remuneration at its discretion. Introducing our latest, most versatile entry into our vanity collection yet - the Vee series. Boasting a fully modular, customizable design interface, the Vee series is unabashedly light years ahead of its time. The possibilities and various combinations of the Vee series are truly endless. At its core lies this marvelous vanity base, measuring 28 in. in width, 18 in. back to front, and 34 in. vertically. Coated in our new, vibrant wedge finish. Capturing the essence of the Xena series - sleek, modern, and constructed with modern style melamine and premium glass, this chic, off-center wood mirror is the perfect addition to your home and bathroom. It can be installed both vertically and horizontally. It measures 24 in. across, and 32 in. vertically. Frame comes in a beautiful, deep, dawn grey finish. While the Hepburn Collection cannot project those qualities as fully as the iconic "Audrey" who inspired its name, we did think of her simple beauty when we set out to design this tasteful assortment of bathroom furniture. The 24 inch mirror is layered a sumptuous Dark Chocolate finish upon the solid ash wood frame. Included wall cleat makes hanging the mirror effortless. Pair the mirror with the matching vanities, and Hepburn is guaranteed to delight for years to come. Solid wood mirror cabinet for storage and all wood construction on the mirror frame. Quality mirror with finish to prevent rusting against humidity in bathroom. Dimension: 8.7Sx8.7Dx23.6W * ** * Birch* Black* No Assembly Required Faucet and mirror not included. Professional installation recommeneded. 22 inch Mirror Cabinet for Allie / Austen in Twilight Gray w/ Silver Trim This 22 inch mirror cabinet features a minimalist design that pops with colour thanks to the refined Twilight Gray finish with matte silver trim. It features a solid wood birch frame and wall cleat for easy hanging. The mirror cabinet is a perfect companion to the Allie / Austen vanities.